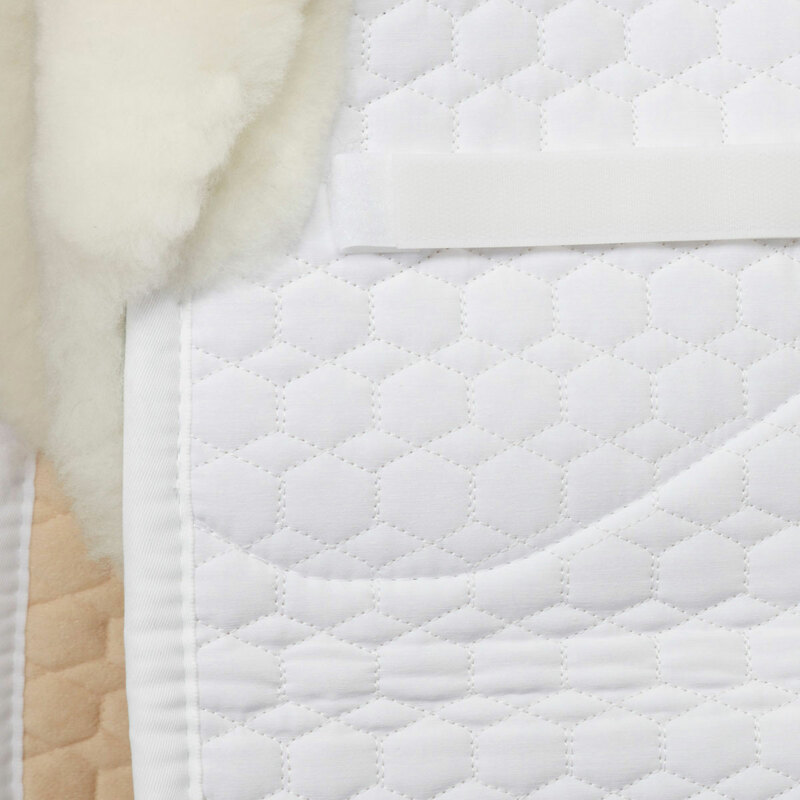 Mattes Square Pad with Sheepskin Panels offer the same benefits of the half pad, but in a full-pad style. 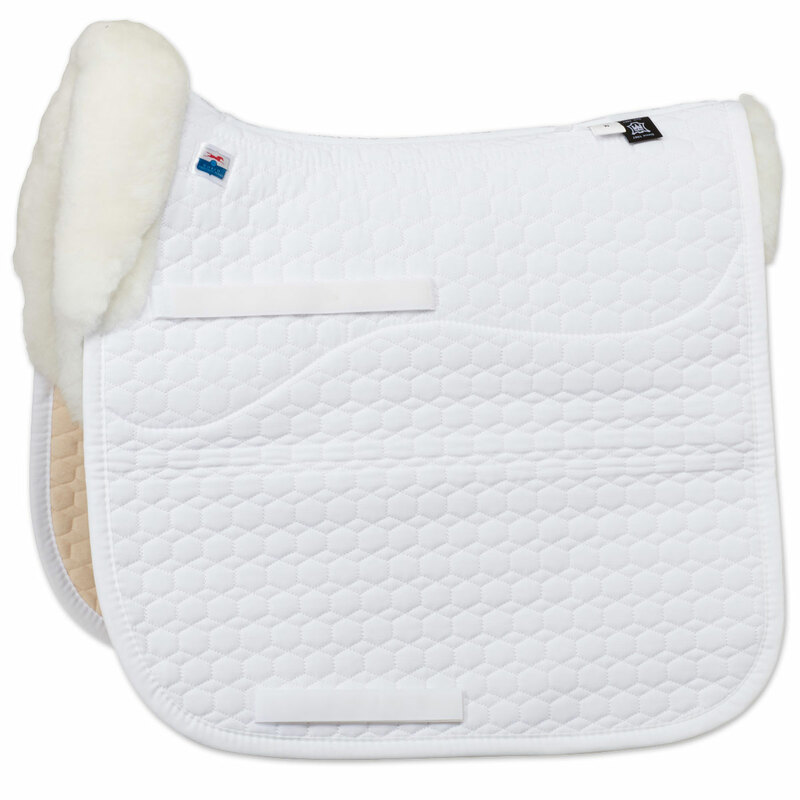 The sheepskin panels offer protection while the bare unlined flaps minimize bulk under the rider's leg. 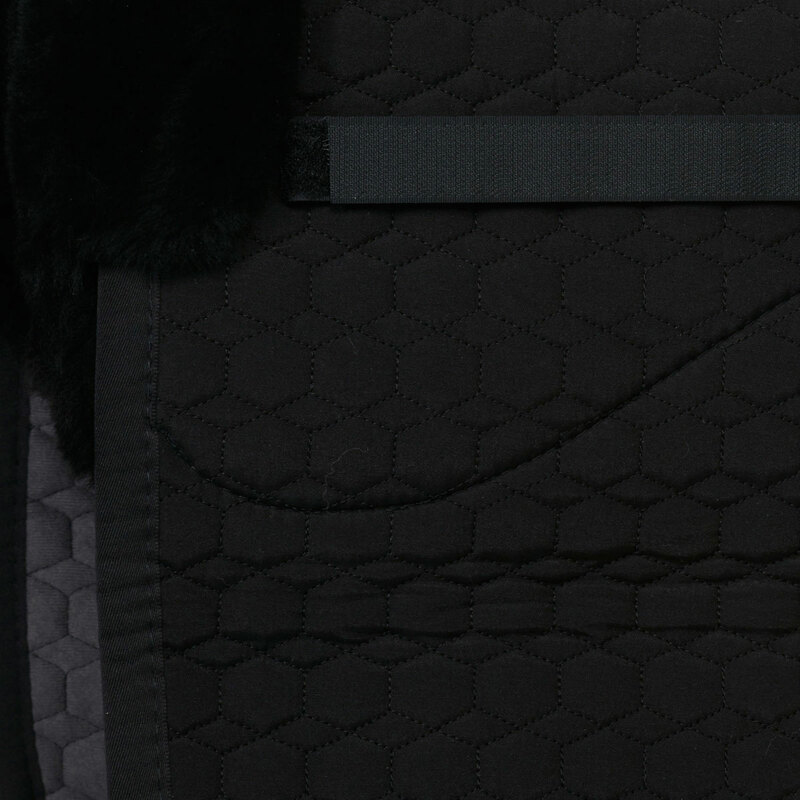 The flaps are quilted with a layer of poly-flex, a material that absorbs energy and eliminates bounce. Dressage in White, Black and Custom Colors. 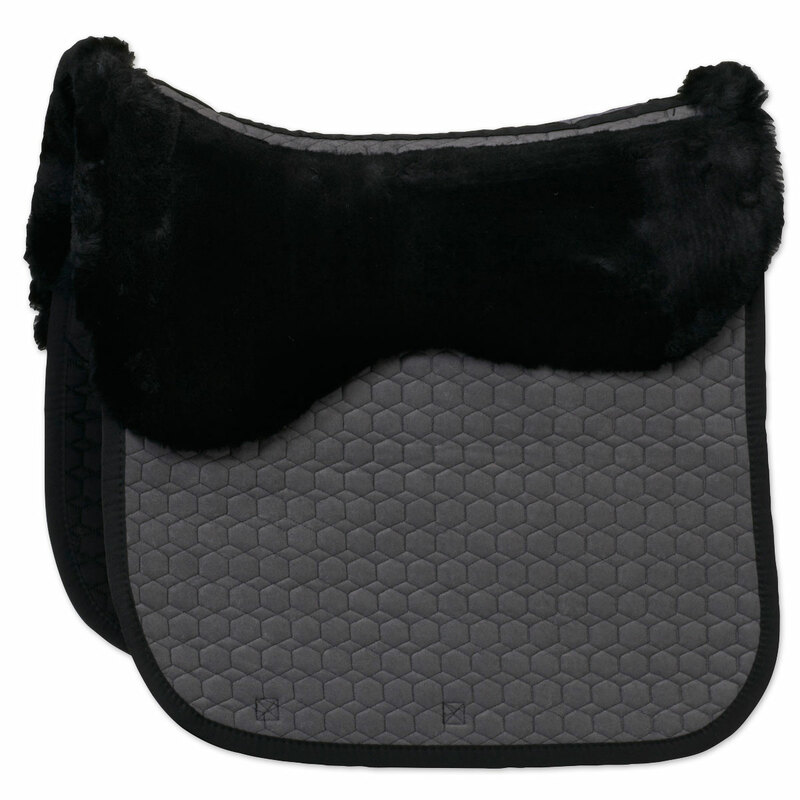 Mattes Square Sheepskin Pad- Dressage is rated 4.8 out of 5 by 12. 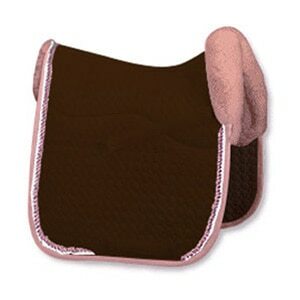 Rated 5 out of 5 by Renei from Great saddle pad I bought this about a month ago. It was expensive bit worth it. Rated 5 out of 5 by Kara from Amazing Pad! This pad is so pretty! It is also functional helping the saddle fit and providing amazing cushion. I cannot wait to be able to get another one of these! Rated 4 out of 5 by PSQL from Great product Upon consultation of a customer rep and her recommendation, I picked size M for my horse. Unfortunately, his size was L. I was disappointed, but the return and exchange went smoothly, and a rep was courteous , and sounds like she knows the process well. So, I am happy with a new pad, size large. Rated 5 out of 5 by karen04 from Awesome Saddle Pad I bought this as a present for a friend and was not sure how to order the pad since it was a custom order. SmartPak customer service was great in helping me pick the colors for the pad. My friend was trilled when I gave her the pad and her horse loves it! The extra padding helps the saddle stay in place while providing a great look. Comfort and beauty, what more could you ask?? The pad is pricy, but it is worth it for the benefit it provides the horse. Rated 5 out of 5 by Cris from Lovely well made super pad Always love these pads for horses with sensitive backs. If your saddle measures an 18 and has slightly large panels that stick out a bit the large won't be big enough so just keep that in mind. Otherwise I love this pad, I use melp to keep it clean and just brush it down after use once dry. Rated 5 out of 5 by Stacey from Nothing like Mattes I've tried lots of pads, many less expensive, but none of them delivers on the quality and comfort. If you have a saddle that is too wide, this is the only right answer. 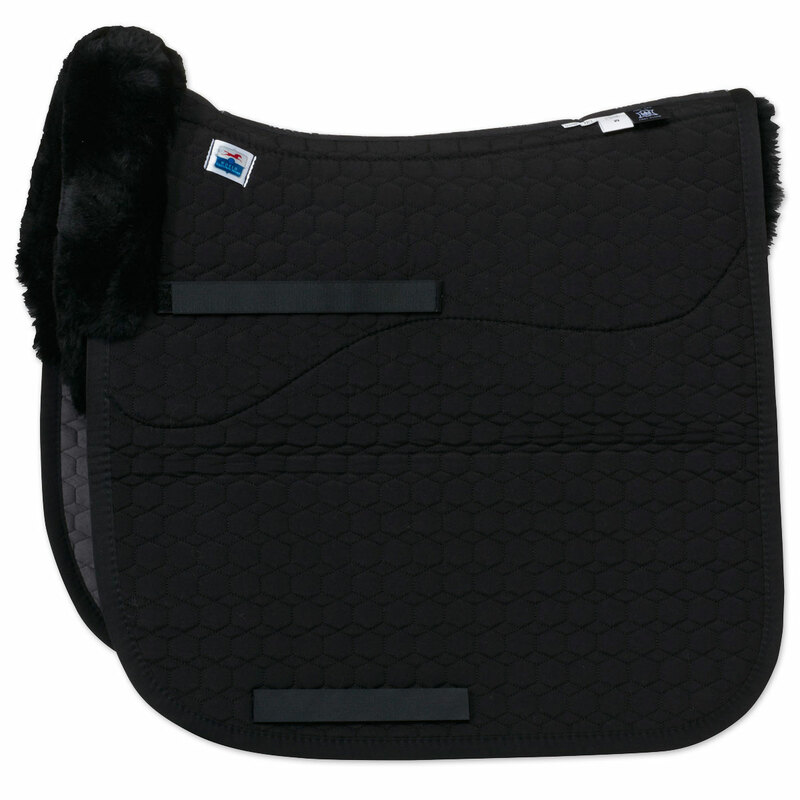 Rated 5 out of 5 by Leaguecity from Luxury saddle pad! I was worried this would be too thick, but its perfect. My saddle still fits great, the horse seems to really like it. I havent had it long enough to judge durability but so far so good. It was pricey since I intend it for schooling and dont compete, but I am glad I bought it. Rated 3 out of 5 by Michie from Good product but too pricey You can eliminate extra pad on the horse. The price is prohibiting to buy. Often this brand has many loose threads from the stitching, the Velcro is not very durable. The design looks good and is prestigious. Rated 5 out of 5 by Sadlup from Beautiful pad, top notch quality My wife and I recently purchased a young dressage prospect. 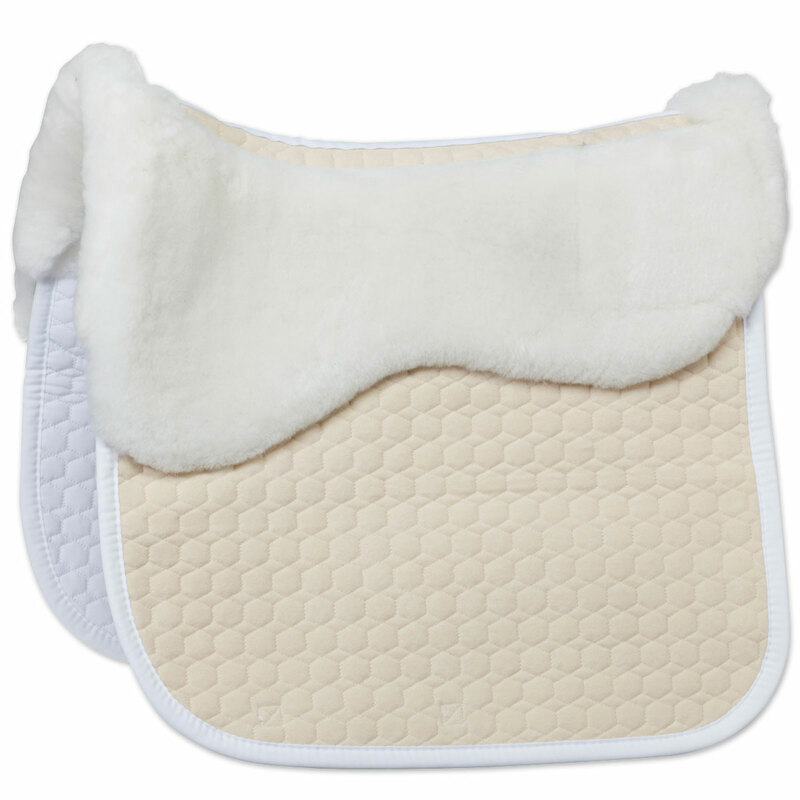 When the saddle fitter came, she recommended a fleece pad to help his sensitive back. So we purchased 4 pads of different brands. When this pad came, we were impressed with the obvious quality and elegance of the pad. It is a well constructed, top notch product. It will now be the show pad, and the others will be for everyday use. This pad is clearly the best of the bunch. 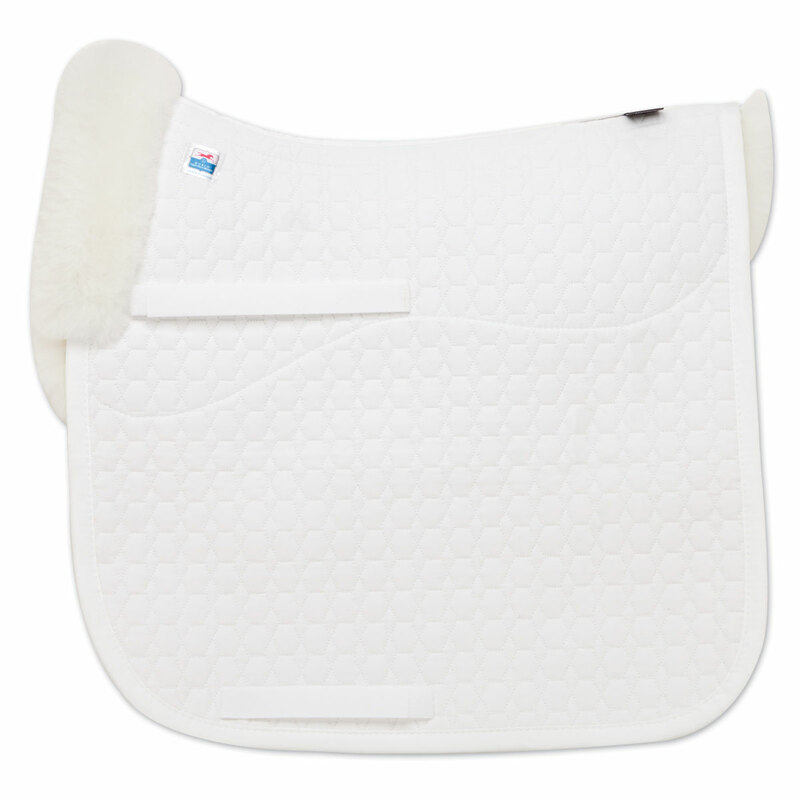 Rated 5 out of 5 by Claire from Great Saddle Pad This pad is definitely worth the money! The quality is obvious from the minute you take it out of the package, and my horse definitely approves! He has extremely tall withers, but this pad did not sit on them or bunch up like other wool pads I have used. The pad has definitely helped his saddle--which is pretty well fitted to him--fit even better. I will definitely be buying more of these in other styles for the future.